Good morning. It's Tuesday, Nov. 27. • Democrats amass power unprecedented in modern times. • Conspiracy theories about California's fires run wild online. • And a tour of the state's best contemporary architecture. The state Capitol in Sacramento, where Democrats rule. How dominant are California's Democrats? 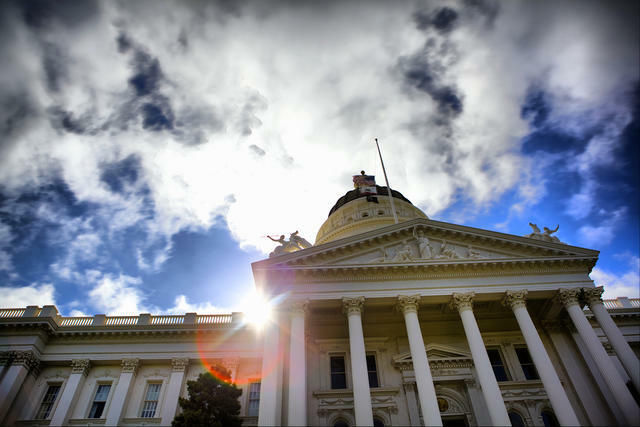 According to the Sacramento Bee, they're now on pace to control three quarters of the state Assembly — a feat unmatched since 1883 — and 29 seats out of 40 in the state Senate, which would be the party’s widest margin since 1962. The majorities will allow Democrats to approve tax increases or put constitutional amendments on the ballot without Republican votes. "Voters gave Democrats an advantage in the Legislature that is unprecedented in modern times," a historian said. Read the story in the Bee. 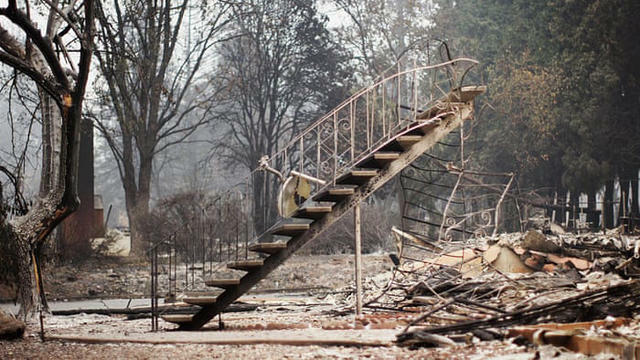 Property destroyed by the Camp fire in Paradise. "We're forgetting our good memories from before. We only remember from the day of the fire on, it seems like." For those who lived there, Paradise was a slice of heaven. The Guardian produced a powerful nine-minute film on how shellshocked residents are adjusting to their new reality amid the rubble of California's deadliest blaze. • The death toll from Northern California's Camp fire grew to 88, but the number of those unaccounted for dropped sharply to about 200. Enterprise-Record | A.P. 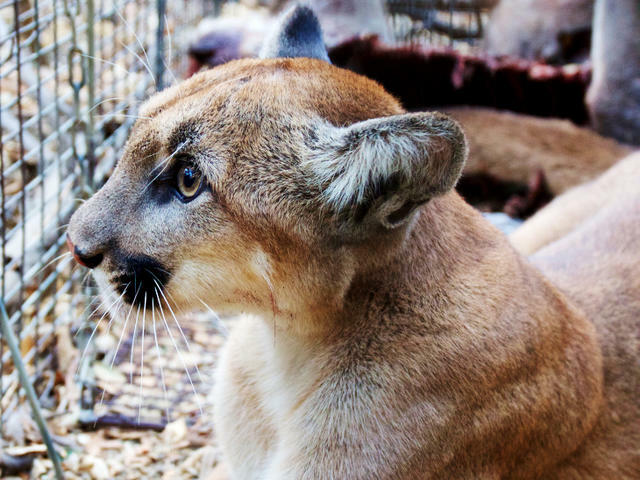 P-74, a young male cougar born last year, is believed to have died. • Biologists believe that a young male cougar died in the Woolsey wildfire, which wiped out whole swaths of wildlife habitat in the Santa Monica Mountains. LAist | A.P. • Here's how to help fire victims. A potent storm system is poised to deliver heavy rain and snow across California Wednesday and Thursday — good news for our depleted groundwater and half-empty reservoirs. It will also bring dangerous surf and the threat of debris flows in fire-scarred areas. The ARTIC was reflected in the Santa Ana River. There's more to California architecture than Art Deco and midcentury modern. 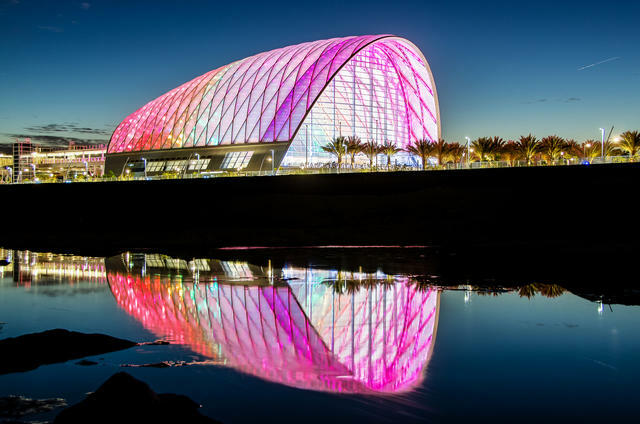 Opened in 2014, the ARTIC transit station in Anaheim uses a plastic-wrapped shell that allows a cavernous hall to fill with natural light. Architecture writer Sam Lubell named it among his favorite contemporary structures in California. Others: San Diego Central Library and Oakland's Cathedral of Christ the Light. Light exploded through Keyhole Arch at sunset last year. For a few weeks every December and January, an arched rock off the Big Sur coast puts on a dazzling light show. Keyhole Arch is a majestic sight under any conditions. 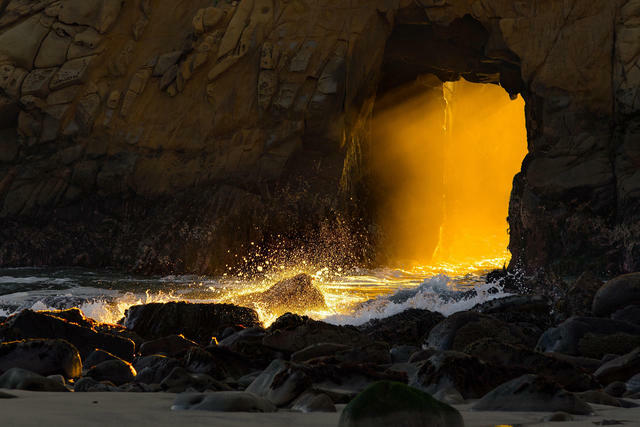 But when the sun sets at its farthest south, beams of light shoot through the natural doorway and create a fleeting phenomenon that photographers and tourists come from all over the world to see. The Giants are facing a growing fan revolt. 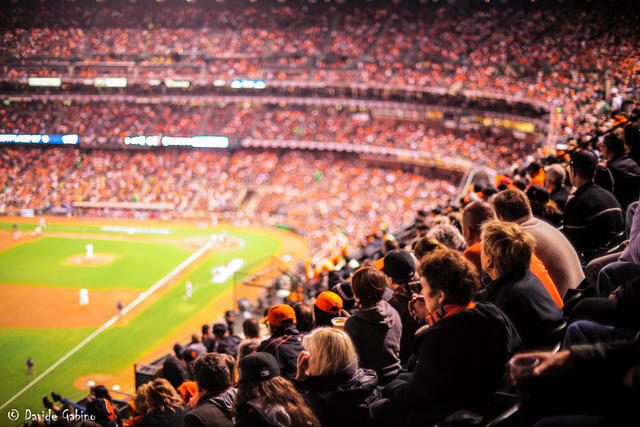 Bay Area civil rights advocates called for a boycott of the San Francisco Giants after the team's largest shareholder donated to the campaign of Mississippi Senate candidate Cindy Hyde-Smith, who has come under fire for making racially charged remarks. Marcos Bretón, the Sacramento Bee columnist and a lifelong Giants fan, said he'd be among the boycotters. Google bought a huge Mountain View business park for $1 billion in the largest Bay Area real estate sale of 2018 and the second-largest of the year in the U.S. The purchase adds to the company's mammoth real estate expansion in both Manhattan and Silicon Valley, where it has now swallowed up properties worth nearly $3 billion. 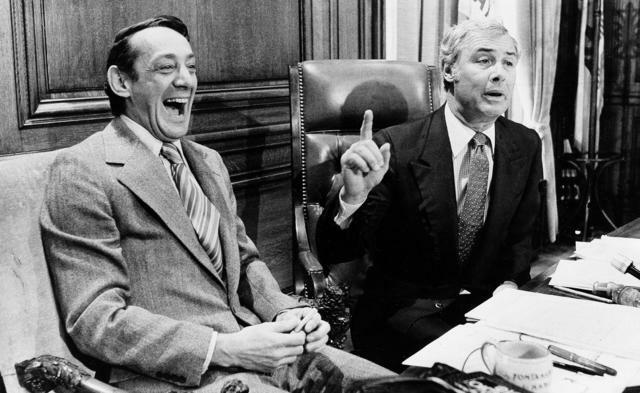 Supervisor Harvey Milk, left, and Mayor George Moscone of San Francisco in 1977. Lincoln Mitchell, author of a forthcoming history of San Francisco, said the ideas of Mayor George Moscone, while radical for the 1970s, are now taken for granted. Moscone prioritized diversity in government and elevated neighborhood voices above those of powerful interests. It was 40 years ago today that he was assassinated along with Harvey Milk. "In those few minutes," Mitchell wrote, "San Francisco was changed forever." 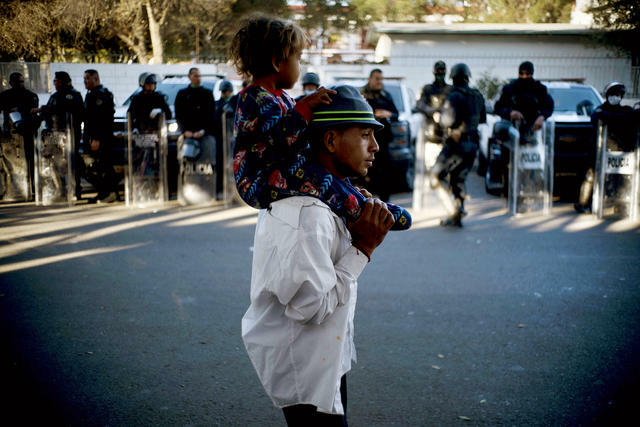 A migrant carried a child outside the Benito Juarez Sports Center, which is serving as a shelter in Tijuana. "These children are barefoot. In diapers. Choking on tear gas. Women and children who left their lives behind — seeking peace and asylum — were met with violence and fear. That's not my America. We're a land of refuge. Of hope. Of freedom. And we will not stand for this." That was Gov.-elect Gavin Newsom responding to the use of tear gas to disperse a caravan of migrants at the border. • About 300 U.S. troops who had been deployed in south Texas and Arizona have been reassigned to border duty in California near where a caravan of migrants has gathered, officials said Monday. Washington Post | A.P. Alex Villanueva, a little-known lieutenant, pulled off an improbable upset in his campaign to replace Jim McDonnell as sheriff of Los Angeles County, one of the nation’s largest policing agencies. Out-fundraised by McDonnell 8 to 1, Villanueva used the county’s political mood to his advantage, experts said, trumpeting his status as a Democrat. 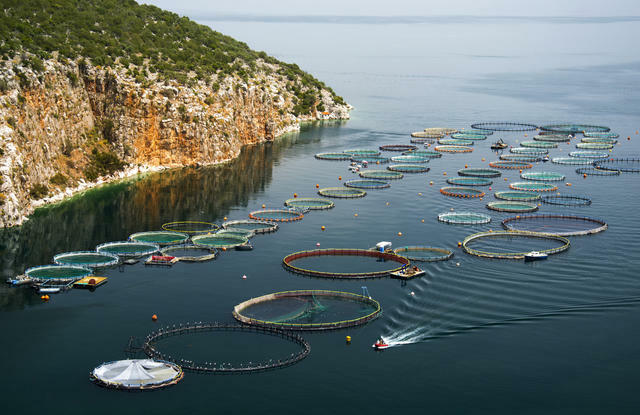 For many years, foreign nations have practiced aquaculture, like this farm off Greece. Despite its long coastlines, the United States imports 90 percent of its seafood. That's beginning to change thanks to the promise of offshore sea ranches, including a 100-acre patch of Pacific off the coast of Southern California that had its first mussel harvest last summer. Proponents see the emerging industry as the future of the world’s food supply. The Moxi Skate Girls have created a hodgepodge family. A group of women in Long Beach has created a new community around outdoor roller skating. The uniform of the so-called Moxi Skate Girls includes Daisy Dukes, stretchy tank tops, and fanny packs. Also: according to a Vice reporter, "a certain peacocking panache." 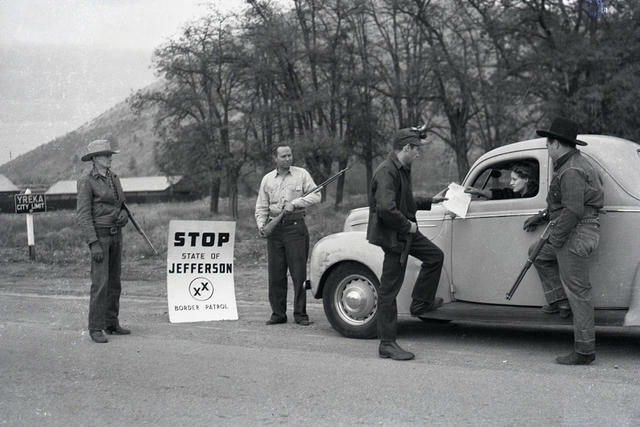 State of Jefferson rebels manned a roadblock in a staged photograph at Yreka in 1941. California, a place of dizzying size and complexity, has often been impugned as ungovernable. It's also been a rallying cry for hundreds of proposals to carve up the state since its formation in 1850. Among the most enduring has been the State of Jefferson. It was on this day in 1941 that a group of armed miners set up a road block along Route 99 in Siskiyou County and distributed proclamations of a new state carved from Oregon and California to be named after the author of the Declaration of Independence. The State of Jefferson flag evokes the region's sense of abandonment. They'd had enough of being overtaxed, the rebels said, and they lacked proper roads to transport their copper ore and timber. 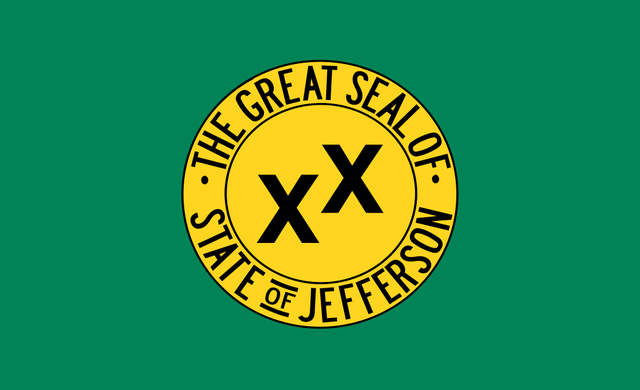 The Jefferson state seal featured a mining pan with two X’s, symbolizing their double-crossing by big-city politicians. "If this was Los Angeles County," one rebel told the journalist Stan Delaplane, "they'd have their roads in no time. They've got the votes but we've got the copper." But the uprising fizzled abruptly. Gilbert Gable — the mayor of Port Orford, Oregon, and a ringleader of the Jefferson movement — died on Dec. 2. Five days later, Pearl Harbor was attacked, and California turned its full attention to the war effort. 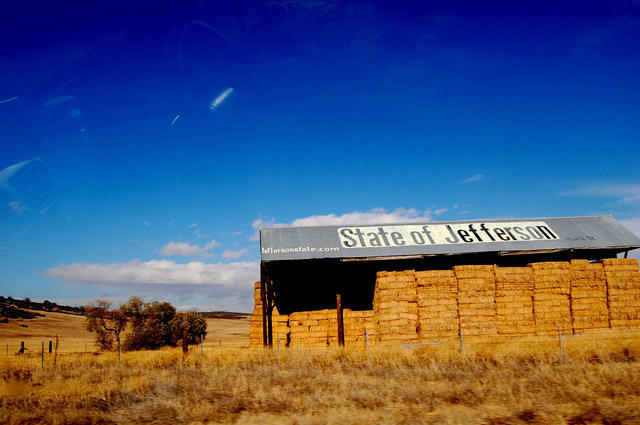 Seventy-seven years later, the Jefferson movement still smolders in California’s conservative north state, where green-and-gold Jefferson banners can be spotted in front yards and business windows of just about any community. In 2013, the Siskiyou County Board of Supervisors voted 4-1 to secede from California. More recently, Jefferson proponents have been energized by the rise of President Trump and the attendant tilt leftward in California politics. They've turned to pushing their separatist cause through the courts — with little success. Their grievances echo those of the miners in the 1940s: chiefly, a perceived lack of representation in Sacramento.